Borg Warner Twin turbos matched to provide the wide range of air needed for Street and Strip performance. Our kit includes everything you need for bolt-on next-level performance, 900-1400 flywheel horsepower, in a compact package. 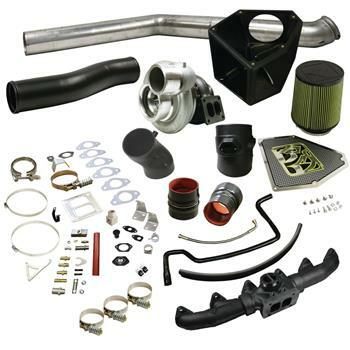 BD Diesel’s engineers have designed the Cobra kit for maximum power and efficiency, while remaining compact. Clean, optimized design keeps Air Conditioning and Shock tower in stock position!